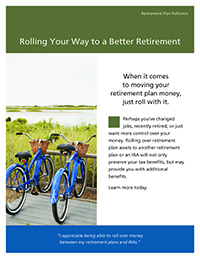 Looking for a nice nest egg for your retirement years? 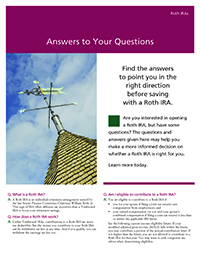 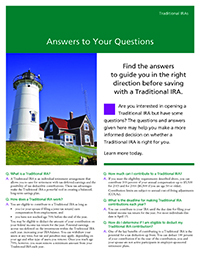 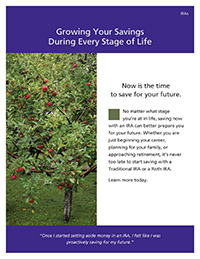 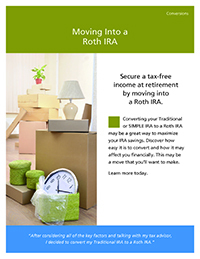 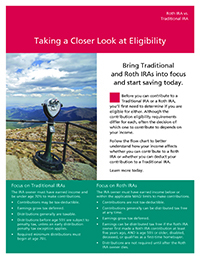 Two good ways to do it are with a Traditional IRA or a Roth IRA. 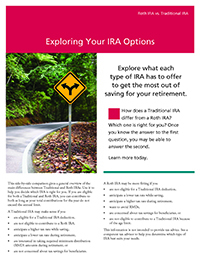 We'd be happy to discuss how to put one or both to work for you.